Would you love to know not only your family tree, but the family dynamics? Were there family feuds, tensions, ugly gossip? But how can you get that information for your genealogy project? How does a researcher prove that family members were at odds with one another? The top four family feud research resources are 1) newspapers for local gossip 2) court records - keep an eye out for frivolous lawsuits 3) deed/wills can stipulate relationship demands, or purposely exclude family members, sometimes with an explanation 4) military records. Yes, I said military records. 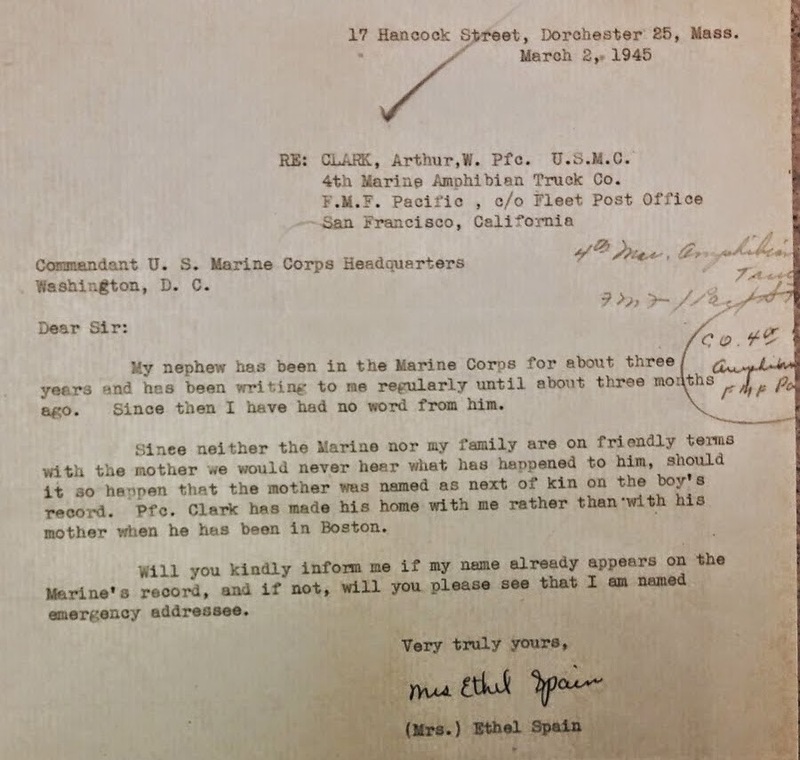 What Can Be Found In Military Records? 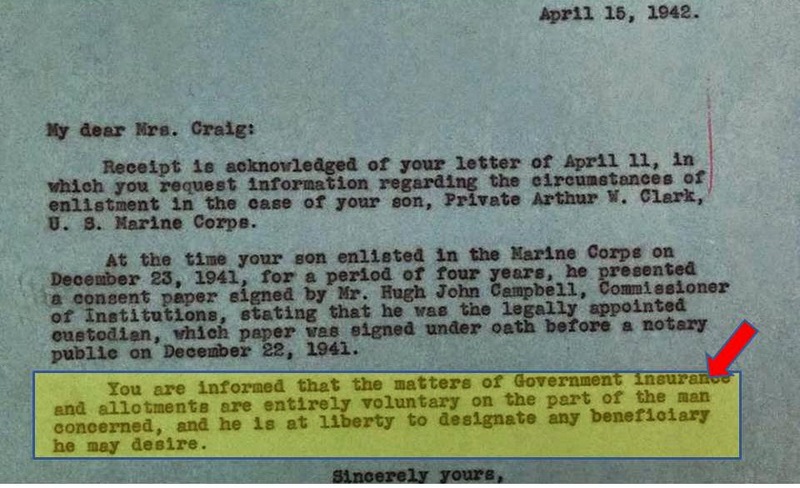 Many researchers fail to obtain the full Personnel Service File of their veteran ancestor. Sure, some of those WWI and WWII files are not available due to the 1973 National Archives Fire in St. Louis, but others have been salvaged. And if the file has been preserved, know that it could be the key to your ancestor’s family life. Did someone other than a parent sign for a minor to serve in the military? Why? Was there a guardian? Have you read the letters from girlfriends, fiances, aunts and other family members. They can be telling. 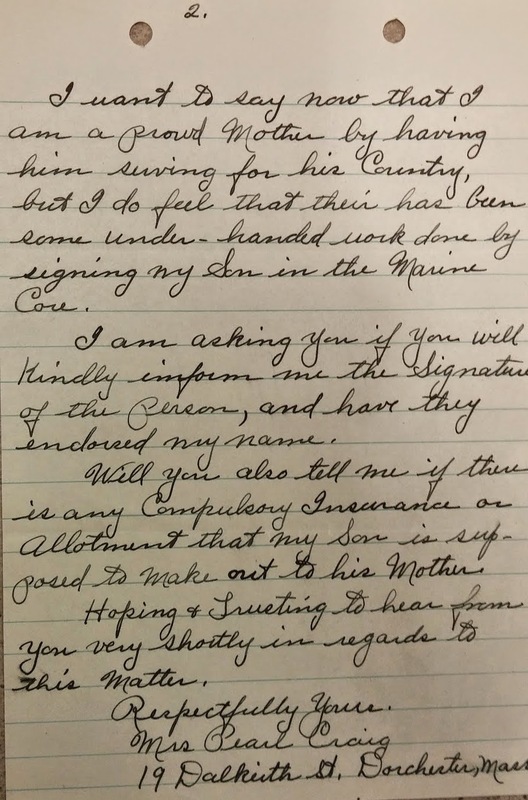 "Neither the Marine nor Family are on friendly terms with the Mother"
Insurance Beneficiary Papers. Researchers often overlook the beneficiary papers of the serviceman’s insurance benefits. But actually the assigned beneficiaries can often give cause to raise an eyebrow. 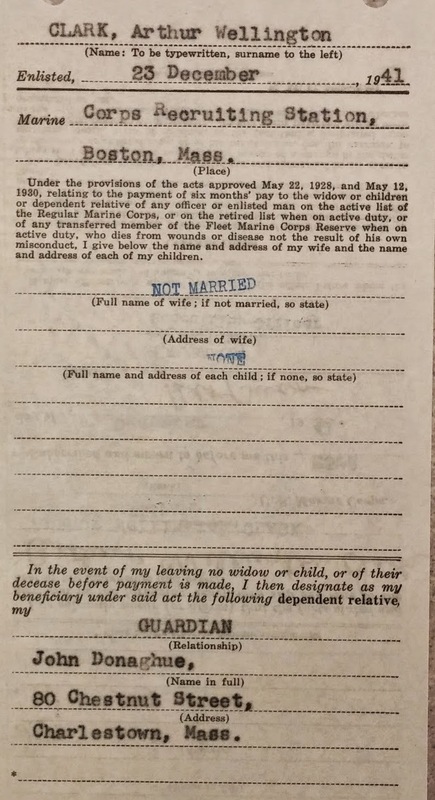 Did your single ancestor name a sibling vs. a living parent as beneficiary. Pension Records. In the Civil War Pension Record of Nelson Strader (alias Mason), the family's dirty laundry was exposed. It is here that we learn that Nelson thought his wife Mary was mean, and left her for Louisa. 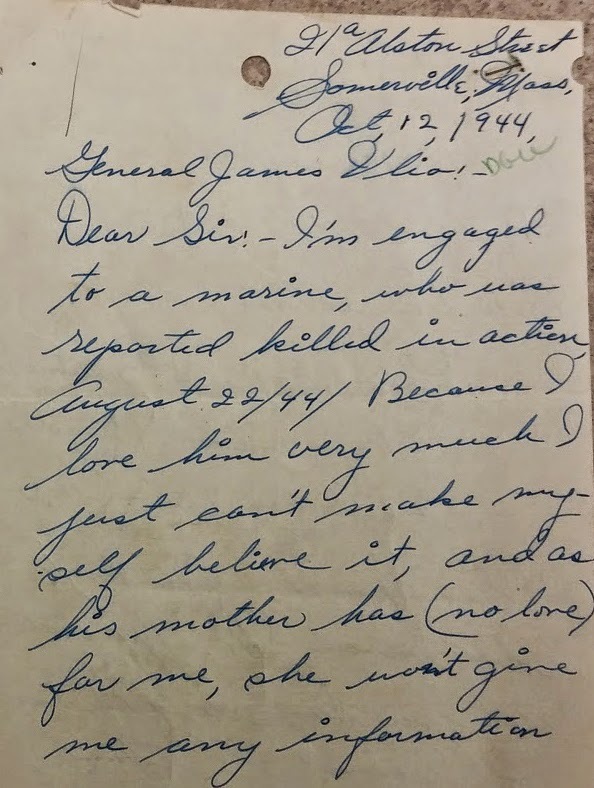 The military depositions and affidavits used for the military to untangle the love triangle left the family researchers enough information for a Hollywood movie. Not only did these records proffer family relationships, but they gave us a peek into the community dynamics.